As a young man, Peter Latchford was a basketball star but football – and goalkeeping – eventually won out and he joined West Bromwich Albion in 1969. At that point , his older brother Dave was the number one keeper for Birmingham while brother Bob, a centre-forward, was also with the Blues. After 81 appearances for the Baggies, Peter was playing in a reserve match at Huddersfield on 17th February 1975 when he caught the eye of assistant manager Sean Fallon. Peter was signed on a loan contract that same night and 48 hours later – on this day in 1975 – he made his debut against Hibs in a league match at Easter Road. 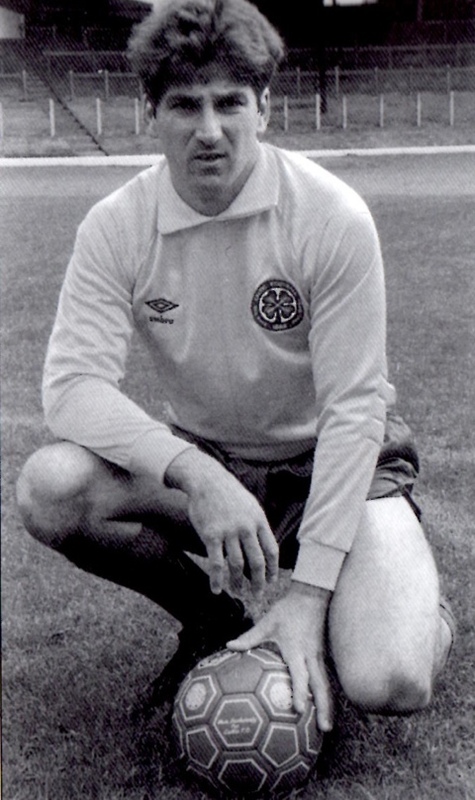 Over the next 12 years, Peter made 272 appearances for Celtic, with 82 shut-outs (30%), his fine play bringing him recognition from the support, who nominated him Player of the Year on 26th February 1978.